I have a vague memory of watching a TV series as a child (UK, late 1980s or early 1990s) that featured men that looked like humans who carried around briefcases that had a bed of soil with a grid of little pods in that grew into more alien men. Memories being what they are, some of even that small bit could be pretty muddled. I really can't remember any more than that. I can't even say if it was in color or Black and White as we had a B&W TV at the time! The show seemed to have a vague plot of these guys trying to grow more of themselves and some agency or something trying to stop them. Courier Tom Jessup loses track of a briefcase containing something vital: spores. These organisms, properly nourished, will grow into aliens able to tolerate Earth's high oxygen content. Through mischance, Jessup loses track of the briefcase, which changes hands several times. Finally, some kids wind up with it, and meanwhile inside it the spores continue to grow, and outside it, Jessup is increasingly desperate. 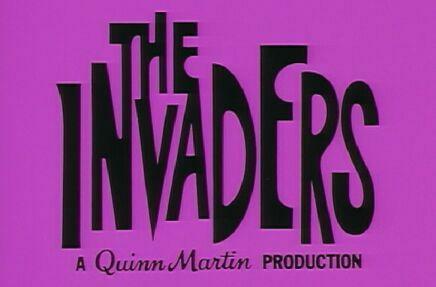 Neither the Invaders nor their planet were ever named. Their human appearance was a disguise; they were never shown in their true form except in one episode, "Genesis", in which an ill alien researcher loses his human form and is briefly seen immersed in a tank of water. Unless they receive periodic treatments in what Vincent called "regeneration chambers", which consume a great deal of electrical power, they revert to their alien form. One scene in the series showed an alien beginning to revert, filmed in soft focus and with pulsating red light. Not the answer you're looking for? Browse other questions tagged tv aliens story-identification or ask your own question. What 80s movie had aliens putting people in pods, and a boy and father trying to find their mother?